From the style to the suite, there are many important decisions to be made when it comes to designing a bathroom. With a broad spectrum of stunning interior design ideas out there (you can check out some of our favourites right here), it can be hard to choose which bathroom design you like best – especially when facing the dilemma of which textures to incorporate into your design. From their functionality to their aesthetic elegance, bathroom tiles have got it all, making them an undoubtedly popular interior material. In today’s post, we’re breaking down exactly why tiling will always be the best choice for a beautiful bathroom, helping you make design choices that will ensure you’re relaxing in the perfect unrivalled bathroom interior. Unlike most other rooms around the home, practicality is the ultimate priority in a bathroom. Surfaces must be able to resist mould in wet conditions, for example, making waterproof tiles a smart and sensible choice. 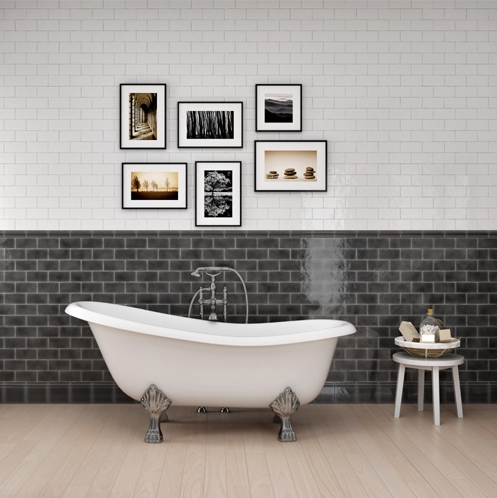 Popular alternatives such as anti-mould paint and extractor fans can be expensive and difficult to maintain, whereas the long-lasting properties of bathroom tiles is what makes them so practical in the long term. Furthermore, the durable and water-resistant properties of non-slip bathroom floor tiles mean that slips and trips can be kept to a minimum – making them an excellent choice in any busy bathroom. By opting for smaller bathroom floor tiles, you can facilitate optimum drainage – helping you to take the hassle out of cleaning. 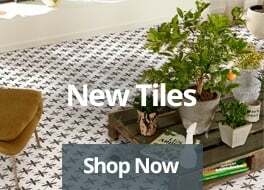 Thanks to the wide range of tiles available, you can rest assured that you’ll find a stunning tile that perfectly suits the aesthetic of your interior. Whether you’re opting for a practical shower splashback or non-slip bathroom flooring, bold, beautiful tiles will add a whole new dimension to your interior design project. For a grand and glamorous bathroom, why not go glossy with our Infinity range? Or for something that’s bang up-to-date, our Digital Art Mix tiles are sure to wow. Embellish with a Scandi-style bench and your bathroom will scream contemporary style, while maintaining that touch of traditionalism for a well-rounded, timeless style. When it comes to choosing floor tiles for bathrooms, it can be hard to know which material you should go for. In any interior design project, budget is bound to be a key consideration – and it’s not unlikely that you’ll make flooring decisions based largely on price. 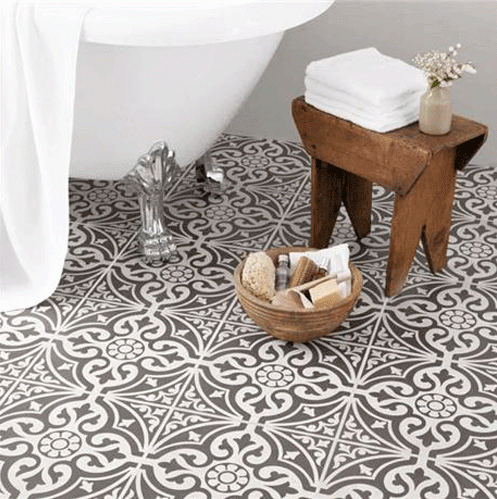 Bathroom floor tiles are incredibly hard-wearing, so make sure you weigh up the initial investment with long-term maintenance costs, as durable materials can help you to save money in the long run. If you’re looking to make a big impact, intricately patterned porcelain tiles are ideal when it comes to creating an impressive focal point. Natural stone tiles, in granite or travertine, are particularly suited to rustic bathrooms – and their heat-conductive properties mean they’ll be fantastic for warming wet feet in the winter. We recommend our Balma tiles if you’re looking for a classic aesthetic. Bathroom tiles are the ultimate solution to combining class with practicality – and if you’re ready to design the bathroom of your dreams, you can order order any of our stunning floor tiles online. 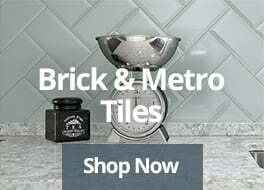 At Tiles Direct, we offer the highest quality tiles at the most competitive prices – and our price match guarantee means you can be confident that you’re getting the best deal available to you. Inject some style into your interior design project and order your beautiful bathroom tiles online today!